Adding a new pet to your family is an exciting experience. Once your new friend becomes familiar with their surroundings, it’s time to start training in the basics of good behavior. The sooner you begin training the better—puppies and kittens as young as eight weeks old can start picking up basic commands. Before you begin, confirm that all family members understand how training will occur to ensure consistency. Your pet should receive the same commands and instruction from everyone in the household in order to learn faster and become more confident. First on your list is teaching good bathroom habits. Puppies should be taken to the location where you want them to eliminate every 30-60 minutes, especially after napping or eating. If you expect them to go to the bathroom outside, take them out on a leash each time. If eliminating inside on puppy pads or in a litter box is acceptable, choose a specific location and lead them to this spot each time. When your pup goes to the bathroom in the correct location, praise them and give a small treat immediately to reinforce the positive behavior. When accidents occur, simply clean them up quickly without punishment or scolding. When your pet is rewarded each time they go in the right place, they will quickly learn that this is the desired behavior and continue it. Litter-training cats is simpler than potty-training a puppy (sorry, dog owners!). 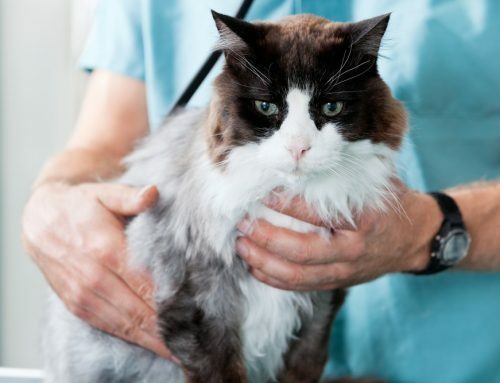 After choosing spots for your litter boxes—you want one for each cat in the house, plus one more—fill them with the litter of your choice and take your cat to them. Place your kitten into the box and allow them to paw at the litter. 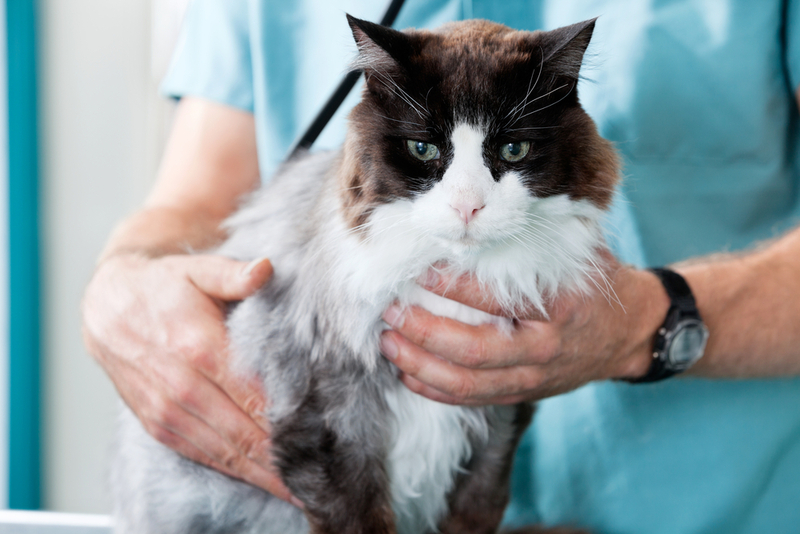 Cats instinctively like to eliminate in a loose substrate, so once they know where their litter boxes are, they will start using them. Crate training is a good idea for puppies for several reasons. Not only does it keep them safe when you aren’t around, it also gives them a den to retreat to when they need a rest or break. Purchase a crate that will accommodate your dog at their expected adult size as well as a divider that can partition off the back of the crate while they grow. To reinforce your potty training efforts, your puppy should be given just enough room to lie down and turn around comfortably. If given full range of the crate, your pooch may use the back corner as a litter box and sleep in the front. Your new pup should be placed in the crate when you are not home, at night, and when you cannot directly supervise them. 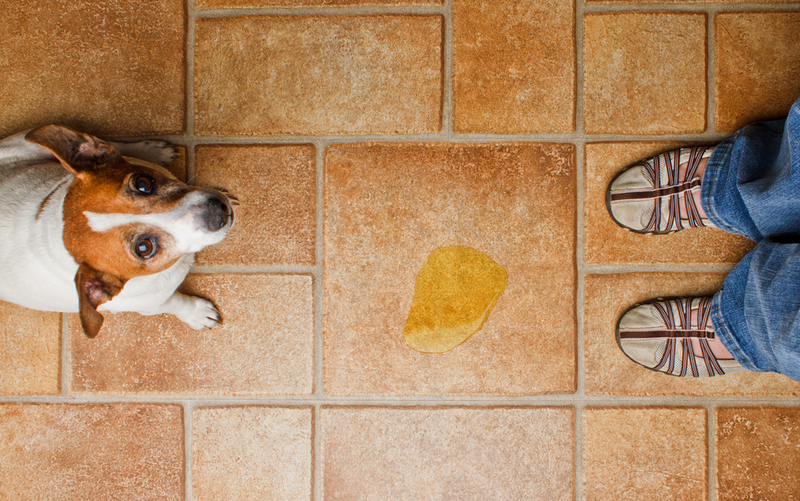 Once your pup starts to get the hang of potty training, it’s time for a few basic commands. Training should revolve around positive reinforcement, with lots of praise and treats as rewards. 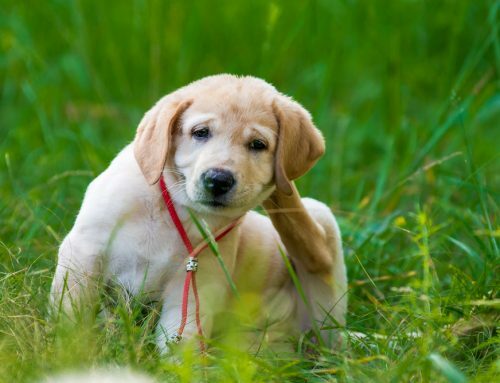 Training sessions should be short and frequent—five-minute bouts several times a day will be most effective for a puppy’s short attention span. Sit — Starting with a treat in your hand to get their attention, hold it just above your puppy’s head so they look up, and say the word “sit.” If your pup does not lower their back end to the ground, you can use the opposite hand to place gentle pressure on the rear to encourage them to sit. As soon as your puppy sits, offer praise and a treat. 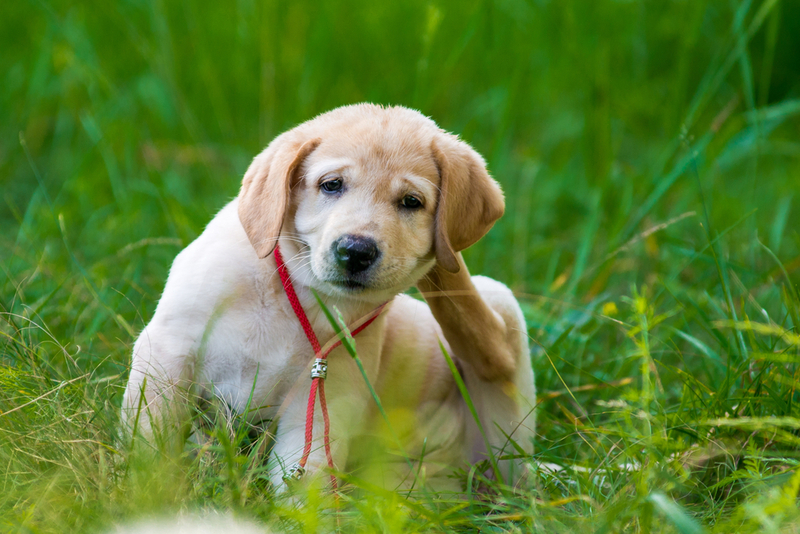 Stay — After your puppy has the sit command down, you can take it a step further by asking them to stay in place for a few seconds. 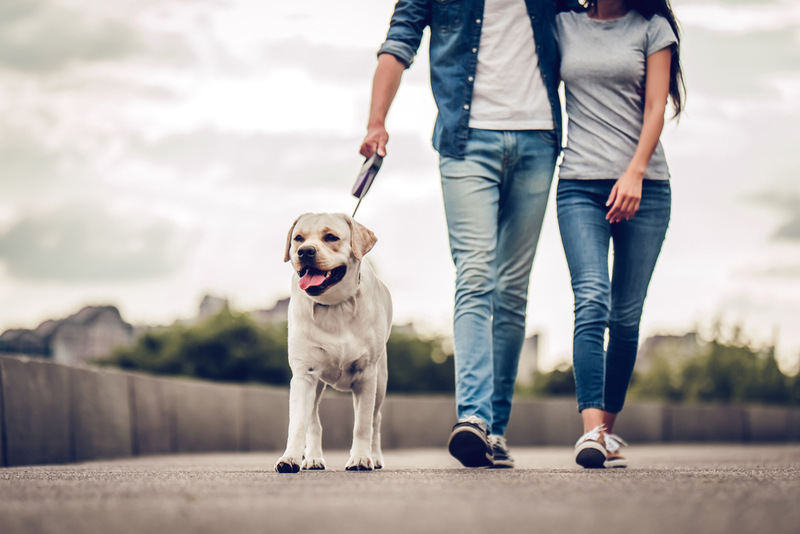 Once your pooch is in the sit position, hold your hand up with an open palm toward them and say “stay.” If they attempt to stand up, gently return them to the sit position, keeping your hand on their rear, and repeat the command with your hand up. Reward your puppy after they hold this position for a few seconds. Once they get the hang of it, you can lengthen the amount of time you ask them to stay before rewarding them. Heel — To teach your puppy to walk on a leash, you will need a leash and a properly-fitted woven nylon collar. Choke or pinch collars should never be used—they are unsafe and can cause injury to important neck structures. Start with your puppy on your left side, keeping them on a short leash. 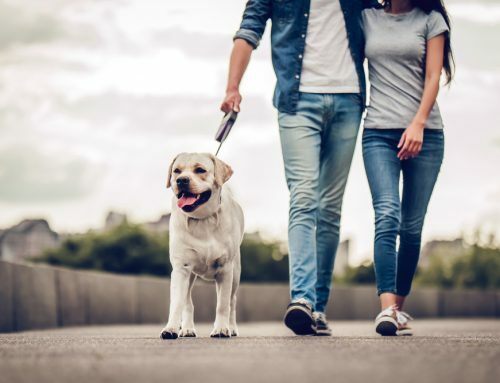 Begin walking slowly, encouraging your pup to walk by your side. If they pull ahead, gently pull the leash and say “heel” when they return to your side. 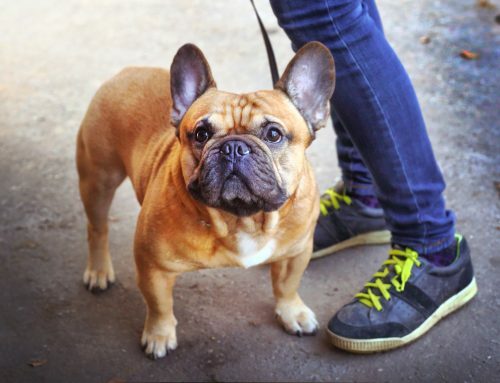 Carry training treats in your pocket so you can reward your pup for walking calmly without pulling. Questions about training your dog or cat? Call our office.